Quick outfit post today. 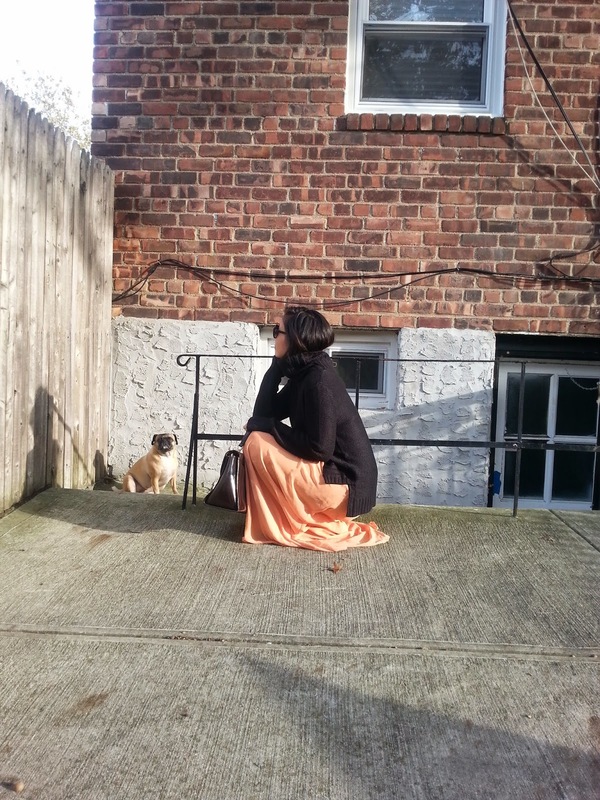 On this gorgeous Fall afternoon I have on a beautiful peach chiffon maxi skirt with a chunky black turtleneck sweater. 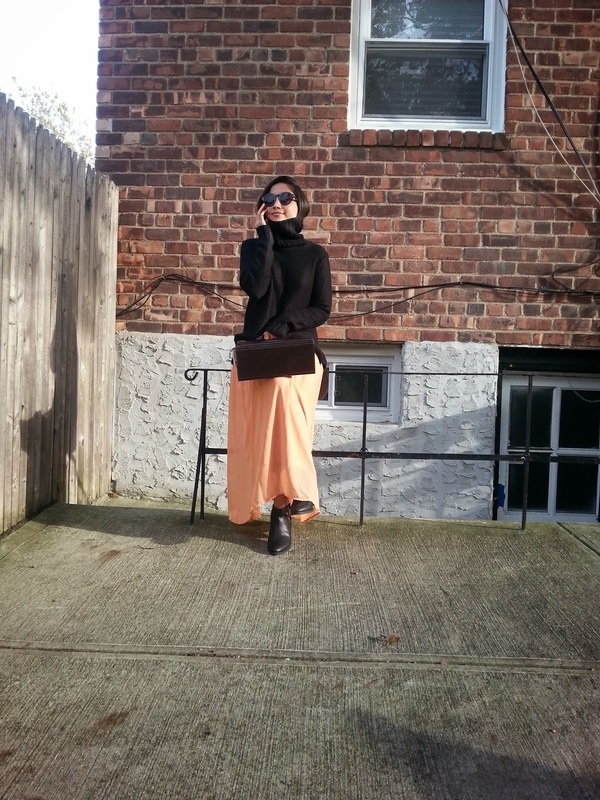 Absolutely loving the chunky sweater with flowy maxi skirt trend this season. 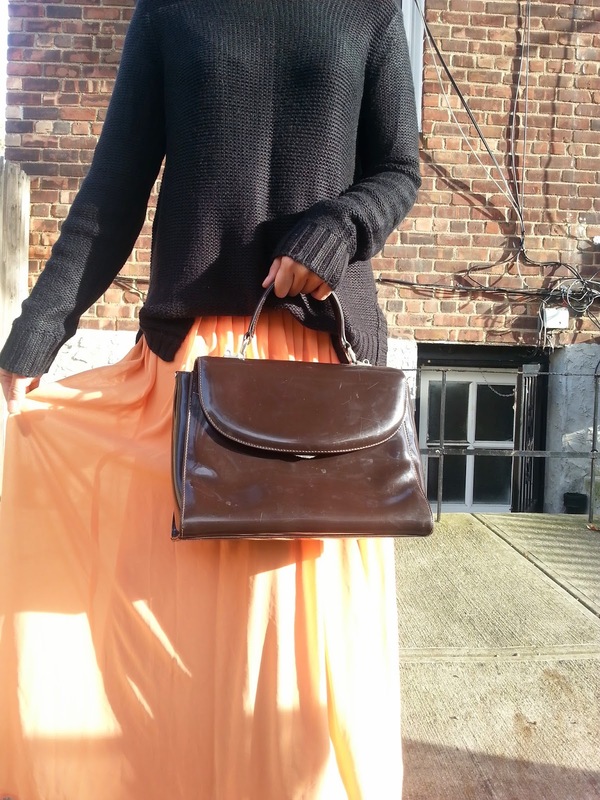 Paired this combo with a black cutout booties and my mommy's vintage bag. Please excuse my messy hair. Gorgeous skirt. Beautiful color too. The colour of your skirt is absolutely gorgeous! P.s. Thanks so much for the follow! Great outfit dear, I love your blouse! So lovely ^^ Great outfit and I love your pug at the background....Adorable!! Nice skirt! I followed you back! :) Thanks for visiting my blog. Keep in touch. Beautiful outfit, love the maxi skirt, awesome color. Thank you for visiting my blog and leaving such a nice comment. Following back on GFC #336 Please keep in touch. 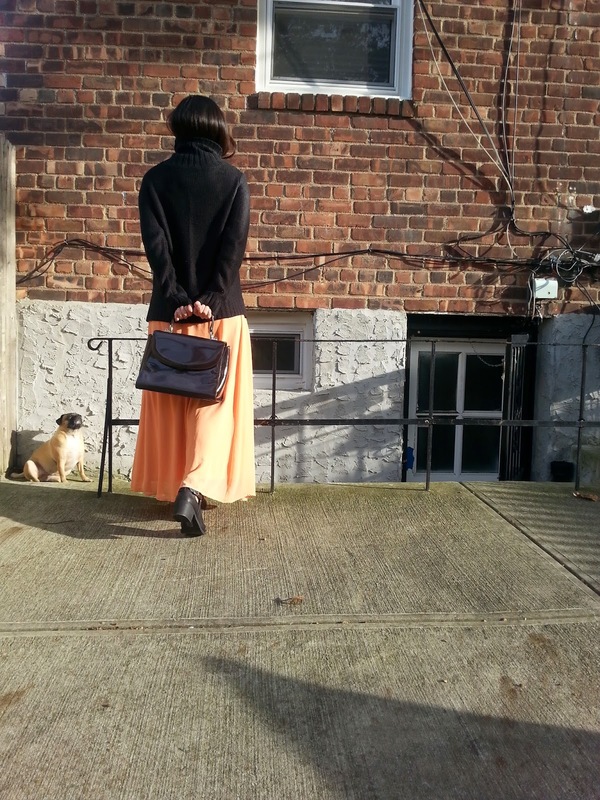 The maxi skirt is beautiful...love the color! Great combo of textures!!!! I love the light skirt paired with wool sweater!!!! comfy and stylish! love the bag! nice outfit..i like your skirt.. Stunning outfit! Love your skirt! Love this outfit so much! And your dog looks cute as always! 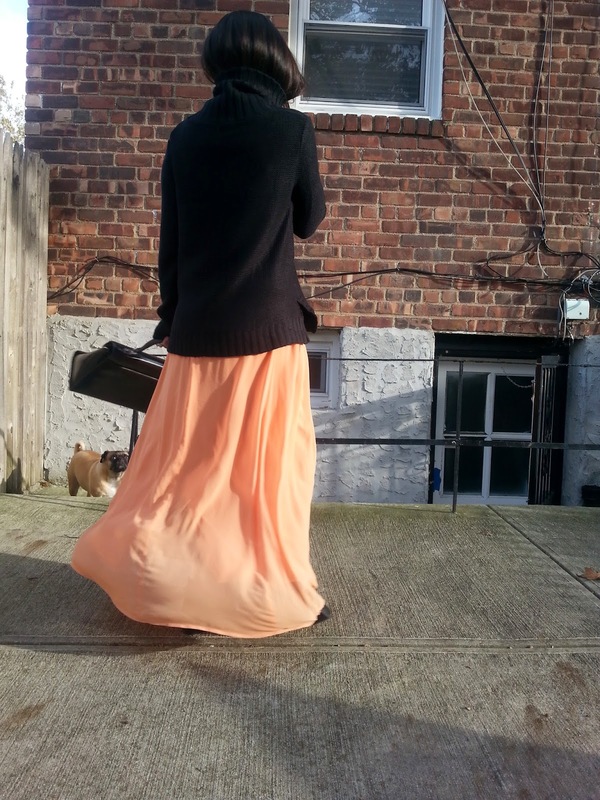 This is such an adorable winter maxi! Love this look on you! 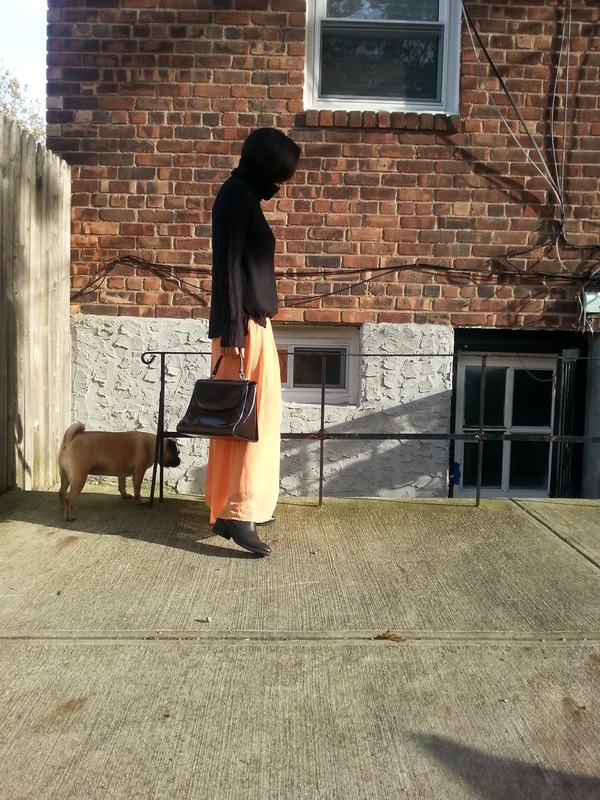 Great sweater and Bag and what a lovely dog!!!! I love this cozy look, perfect for autumn days! Love the skirt and the sweater combo! so cute your dog! and love your skirt! Very nice post! Your blog looks great, would you like to follow each other ? Nice skirt and love how you paired with. Love the color blocking in your outfit here! 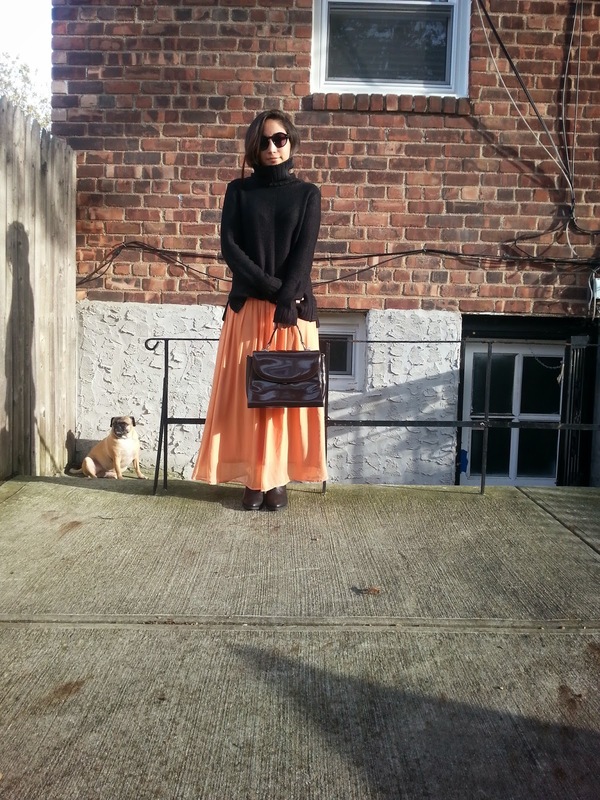 the best mix of long skirt & sweater :) love your style sweety! Maxi color is so pretty. I like your style. The colour of your skirt is amazing!